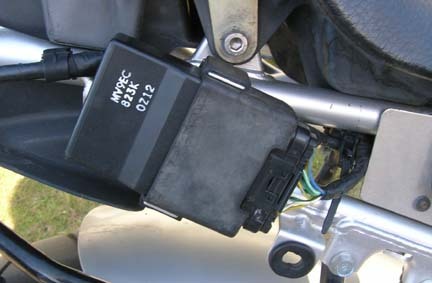 While this has not been confirmed by any official sources, it was assumed that the CDI boxes use different spark settings between 49 state and California bikes. Both use different Honda part numbers and can be identified by the first set of 5 numbers on the box. This swap can be very cheap! With most of the CBR’s in the US the 49 state version, find a online motorcycle forum and search for someone parting out a bike. We found one for $30. This is a huge savings over the $700 Honda wants for a new one! When tested in the 49 state CBR600 F2, we noticed a difference in idle speed and performance. When the CA CDI box was installed on the same bike with NO other changes, idle speed dropped by 500 rpm and acceleration was rough. compared to the 49 state box. If you have any info on the CDI box differences, please let us know! !